Receive industry related information about product development and manufacturing straight to your inbox. 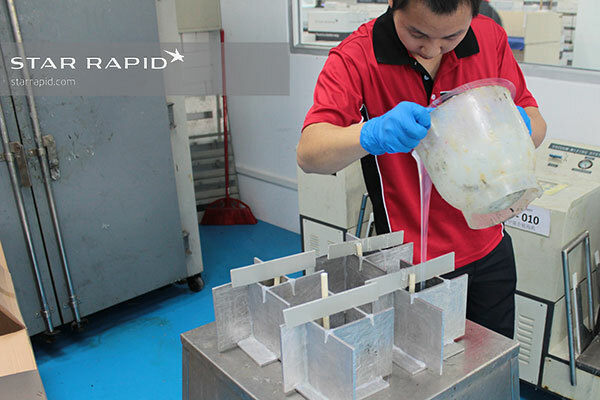 Vacuum casting is a fast and effective method for making high-quality rapid prototypes and end-use parts in low volumes. The process uses pourable casting resins and reusable silicone molds to make perfect copies of master patterns. Such copies are useful in many ways, including for engineering testing, product development, as display models and for marketing and crowdfunding campaigns. Let’s take a closer look at how it works and why you may want to consider it for your next prototyping project. Polyurethane vacuum casting starts with a master pattern, which itself is a prototype made from any durable, solid material. It’s common to use 3D printing or CNC machining to make these patterns because these methods are fast, don’t require separate tooling and can easily be modified to accommodate design changes as needed. Sealing the surface of a master pattern before pouring the mold. After patterns are made they need to be carefully prepared before they can be copied. 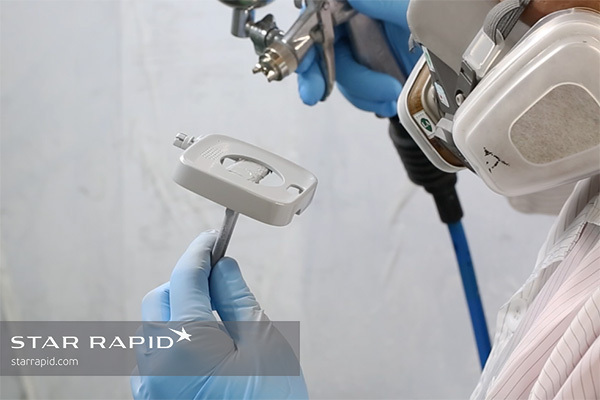 This preparation usually involves sanding, polishing and painting to get the surface finish just right. For multiple parts that might fit together into an assembly, we also test fit the pieces and make minor adjustments to ensure a clean, tight appearance. Once the patterns are ready they are placed in a casting box that is then filled with liquid silicone. After curing in an oven for several hours, the silicone is solidified and the casting box can be taken apart. 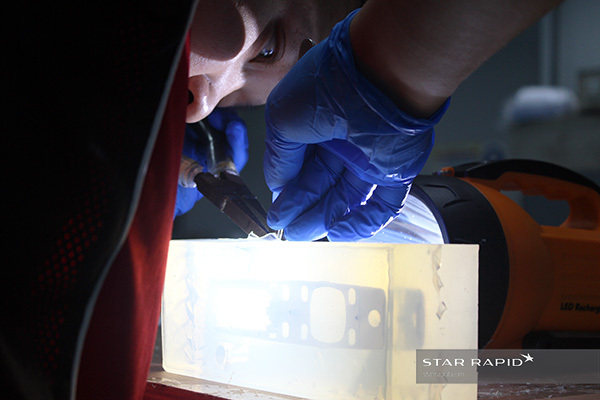 We carefully cut this mold open along a pre-determined seam line and remove the pattern. This leaves behind an empty cavity in the exact mirror image of the original. To make copies of the master pattern the mold must be resealed, this time with a feed tube leading into the cavity. 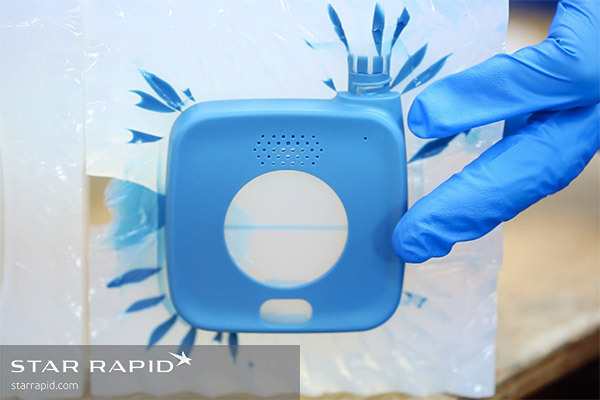 Liquid urethane resin is poured into the mold and then the mold put into a vacuum chamber. The purpose of the vacuum is to draw air out of the cavity, removing any bubbles while forcing resin into the entire volume of space. Then the mold is heated in an oven where the resin is cured. Upon re-opening the mold, a perfect copy of the original emerges. Those are the basic steps, so how is this an advantage for you on your next project? The quality of cast parts is excellent, easily reproducing even very fine surface details from the original. This is why it’s so important to prepare the master patterns carefully. 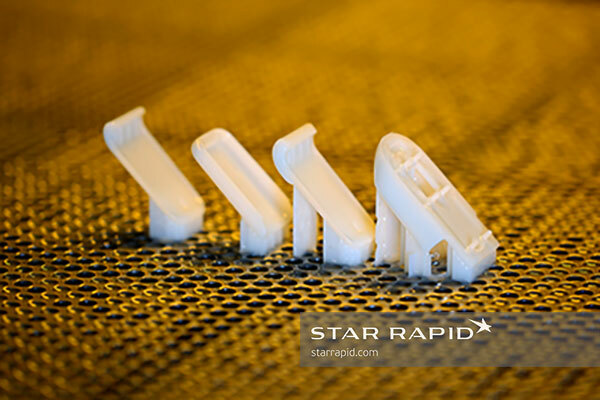 People who are new to this service are constantly surprised by the fidelity to the original, which can easily be mistaken for a plastic injection molded part. Compared to the time it takes to make mass production hard tools out of steel – which could take a few weeks – silicone molds can be prepared in a matter of days. This can be a critical factor if you’re facing a tight deadline, for example when getting display models ready for an upcoming trade show or crowdfunding campaign. There are many casting resins available that reproduce the look, feel and mechanical performance of most standard thermoforming resins like nylon, ABS or polyethylene. This means you don’t need to sacrifice functionality for speed or convenience. And for even more options, urethanes of different types can be overmolded to create various surface textures and hardnesses in one unit. Once the master patterns have been prepared, vacuum casting is the most economical way to make high-quality replicas. This is because money is not being invested in making hard tools, as would be the case for plastic injection molding or pressure die casting. That savings, in turn, can be invested in further product development or alternate design iterations. Further, the process uses much less electricity than injection molding, die casting or CNC machining. That cost would otherwise be passed on to the customer. Taken together, the savings on tooling, materials, energy and labor costs can be significant. Is Vacuum Casting Right for You? 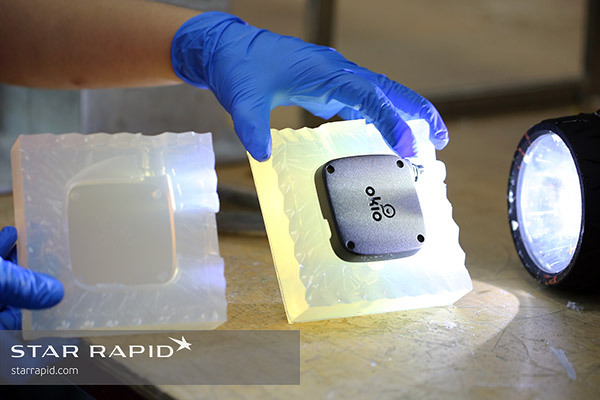 We have everything in-house to offer a great vacuum casting solution for rapid prototypes and end-use parts. With our experienced staff, finishing services and quality inspection, you’ll get production quality parts at a fraction of the production price. Upload your CAD files now for a free quotation.